Dr. Lauren Lewis’ love for dentistry was inspired by her mother, Diane Lewis, who worked with special needs patients at a pediatric dental office. She realized how much of an impact she could have on a family who has children with special needs by just being kind and patient and providing the care for them. I graduated in 2007 from the Baltimore College of Dental Surgery, University of Maryland, after which I joined the staff of Kernan Hospital Dental Clinic in Baltimore to treat children and adults with special needs. In 2008, I began my residency in pediatric dentistry at the School of Dental Medicine, University of Pittsburgh. I received my Certificate in Pediatric Dentistry in 2010 and board certification from the American Board of Pediatric Dentistry in 2011. 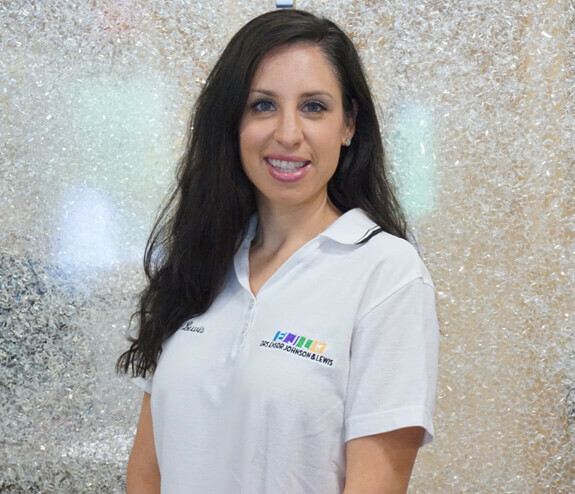 I am a member of the American Academy of Pediatric Dentistry, the Maryland Academy of Pediatric Dentistry, and the Special Care Dentistry Association. I believe very strongly in continuing my education by attending highly accredited courses and by learning from my patients’ experiences. I believe that the prevention of cavities is the foundation of pediatric dentistry and work diligently with each patient to find the perfect balance of oral hygiene and diet to maintain cavity-free oral health. I grew up in Pittsburgh, but have been a Marylander since 1999 when I became a Terrapin at the University of Maryland, College Park and met my husband. When not working, I enjoy practicing yoga and traveling with my husband and daughters.